Florida not only has plenty of sandy beaches but also has more opportunities for nurses than any other state. So we created a list of the best BSN programs in Florida to help you get started! With an increasingly large retired population, the demand for highly educated and trained nurses is needed more than ever. That demand is expected to continue to grow for the next two decades. With increased demand comes a need to receive an education that aligns with nursing career goals and expectations of employers. It is critical to attend one of the best nursing schools in Florida that have the programs and specialization you need to match your goals. Luckily Florida is home to some of the best nursing programs in the nation. The largest area predicted for job growth in the healthcare industry of Florida is, not surprisingly, critical adult care, nursing centers, assisted living facilities, and home health care. Florida is home to some of the nation’s largest health care agencies and they are constantly on the lookout for educated, qualified individuals to hire within their nursing positions. Before anyone can practice nursing in Florida they must pass the NCLEX-RN exam and take required courses prior to taking the exam. There are a few different routes that will lead you to the licensing exam, which include earning an ADN (associate degree in nursing) or earning a BSN (bachelor degree in nursing). More and more employers are requiring a BSN. If you are considering a career in nursing, a BSN will open more doors of opportunity to you and be well worth the time and effort it will take to earn this four-year degree. Not only does it open professional doors, but also allows you to become more specialized in specific areas and can act as an excellent springboard for further education such as an MSN or DNP. Regent University's Bachelor of Science in Healthcare Management, offered online only, prepares graduates with a strong Christian foundation to begin or advance a career in the vibrant, growing field of health care planning and management. While searching for the right program, consider what your end goal is and begin with the end in mind. Make sure you attend an accredited program from an accredited school. Unfortunately, not every program offered is accredited by the CCNE or ACEN which could cause significant hang-ups when trying to find a job. You should also consider if you want to have a specialization. If you do, attend a school that has a program with that specialization. Consider how you plan to pay for your education since this may influence where you choose to go. Most programs offer financial aid in the form of student loans or scholarships. The #1 best BSN program in Florida is the University of Florida. They offer a comprehensive BSN program for students wanting to work as a nurse generalist or enter the healthcare field with leadership skills behind them. There are multiple tracks offered depending on previous education and licensing students may have. There is a traditional track where students attend campus for general courses and upper division courses within the School of Nursing as well as an accelerated track. For students that already hold a current and clear RN license, they are able to start with upper division courses and earn the BSN in half the amount of time as the traditional track. There is also a third option for students that already have a bachelor’s degree in another field and want to change careers. This is an accelerated option to help students earn their BSN in as little as two years. Students at Indian River State College who want to take their career to the next level should earn a BSN, a program that builds on the knowledge, skills, and experience of an RN. Graduates of the BSN program become nurse generalists and are able to be employed in a variety of settings such as hospitals, clinics, nursing centers, schools and more. Students will learn from the evidence-based practice nursing model throughout their educational experience at Indian River State College. This model incorporates the best research-based evidence and clinical experience and teaches students to be sensitive to patient preferences and values while providing optimal nursing care. 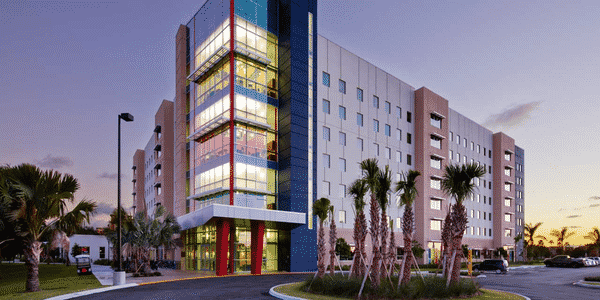 The University of North Florida aims to provide an excellent education for all who are seeking a degree in nursing, regardless of previous education and experience while improving the healthcare within the community. 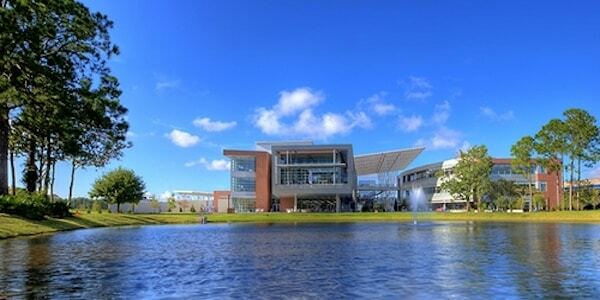 Students can enter UNF as freshmen and declare their major. Once admitted to the school of nursing they can begin taking upper division nursing courses. They offer one of the few accelerated BSN programs in Florida. Students with a clear and current RN license can apply for an accelerated BSN program that builds on their previous knowledge and experience. This program is offered both online and on campus. Students that are not residents of Florida need to read the admissions guidelines for non-resident students which includes any online distant learners. The BSN program at UCF is a limited access program, so students should know the credentials prior to applying. It’s considered a five-semester “step-lock” program that is offered on any of the three campuses (Orlando, Cocoa, Daytona). Students will need to check with each campus to know what the application process entails as it is different for each campus. Students seeking a second bachelor’s degree do not qualify for this program, as there is another track that is more fitting. Students will receive a broad education and knowledge base that will allow them to become nurse generalists upon graduation. Graduates will then be able to be employed in a variety of healthcare settings and will be prepared to enter as leaders within the healthcare community. The BSN program at Florida Gulf Coast University builds on the knowledge, skills, and experience of an RN. Graduates of the BSN program become nurse generalists and are qualified for employment in a variety of settings such as hospitals, clinics, nursing centers, schools and more. Students will learn from the evidence-based practice nursing model throughout their educational experience at FGCU. The BSN program is a traditional, on-campus, four-year program that will require students to attend full-time and participate in clinical rotations. Students wanting to earn a BSN degree from the University of Tampa will need to first apply to the university and be admitted. Upon acceptance, students will need to take any prerequisite courses prior to applying to the nursing program. The BSN is a traditional, on-campus program that will take two years to complete after students complete their general education. The nursing department is located in the new state-of-the-art Graduate Health Science Building that opened August 2018. The nursing learning environment includes a large patient care center, OB/pediatric care area, ICU simulation rooms, health assessment clinical spaces, a student lounge and study spaces, faculty and staff offices, a large conference room and dedicated nursing classrooms. Graduates will be able to provide competent care for patients of all ages and from various cultural backgrounds. The University of Miami School of Nursing has an unrivaled simulation facility that gives opportunities for students to experience, diagnose, and treat simulated patients in a variety of cases. The simulation facility is set up as a hospital with an E.R. area, surgical area, labor and delivery area, and more. They utilize state of the art technology with mannequins, as well as actors that participate in the simulation. Along with this facility the school of nursing is also affiliated with a private acute care hospital and a public teaching hospital system. Students will have hands-on teaching and learning experiences that will give them a very enriching education. The Christine E. Lynn College of Nursing at Florida Atlantic University prepares students to nurture the wholeness of their patients through a caring environment and nursing practice. Whether a student plans to be directly or indirectly involved in the care of patients, they will have the knowledge base and clinical experiences necessary to enable them to achieve their goals and improve community health. Graduates will be able to care for patients of all ages and from a wide range of cultures and backgrounds. BSN graduates are prepared as nurse generalists and scholars in the science of caring. FSU offers a comprehensive BSN program that allows students to begin their nursing education as early as their freshman year. Students are able to apply to the university and, once accepted, declare their major. If they meet necessary qualifications they can begin taking nursing courses alongside their general education courses. FSU integrates theoretical knowledge with clinical experiences to help graduates be able to think critically and ethically when caring for a highly diverse group of patients. Students at FSU greatly benefit from being able to complete their clinical experiences at some of the nation’s busiest, most technologically advanced hospitals in the nation. The goal of the USF College of Nursing is to prepare 21st-century nurses to address the health care needs of local and global communities through excellence in research, education, and clinical care. Faculty and staff promote interdisciplinary research collaborations, and the college is ranked first in NIH funding among all universities in the state. FIU has different tracks for students to earn their BSN depending on previous education and experience they might have. There is a traditional 5-semester on campus track that students can apply to if they have completed their general courses at either FIU or another university and are applying as a transfer student. There is also an RN to BSN program online. The last two tracks are FEP to BSN and VBSN to Medic Nurse. Graduates are well prepared to meet the demands of nurses, whether they work in hospitals, clinics, as teachers, counselors or in the management of healthcare facilities. NSU offers a unique educational experience for students earning their BSN, allowing them to begin taking nursing courses their first semester. It is a traditional four-year program but students will be in their major courses early on, rather than the last two years. Students will still complete the general education courses necessary but it will be intertwined with their nursing courses throughout the four-year program. Students have the opportunity to serve as peer mentors throughout the program. 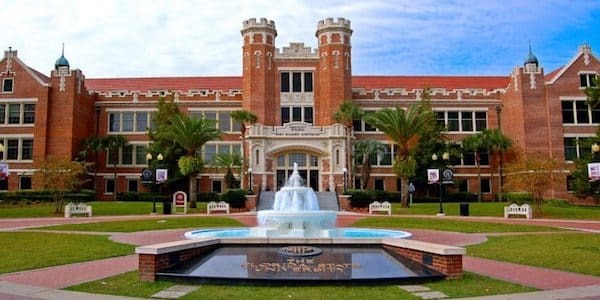 The BSN program at Florida State University is a traditional, on-campus program that has limited access and limited enrollment. Students will need to apply early on and be aware of the necessary pre-requisites that this major requires for entry. The method used to teach and prepare students is theoretically based and is paired with the nursing process to provide evidence-based nursing care to individuals and groups in a variety of healthcare settings. Graduates of the BSN program are well-prepared for the national licensure exam to become a registered nurse (RN) and have the foundation necessary to pursue higher education. The University of West Florida offers a traditional BSN track on campus that students can apply to upon finishing their general education and necessary pre-requisites. They will finish their BSN with the last two years filled with upper-division courses in the nursing program. Students will also participate in clinical rotations and receive valuable experience prior to graduating. For students who are currently RNs and have a clear and current license, online RN programs are available to receive a BSN (online accelerated bsn programs). Keiser University has 15 campuses throughout Florida so the availability of the BSN program will depend on what campus you attend. Some offer courses Fall/Winter/Spring/Summer while others only offer BSN courses during the Fall/Winter Semesters. Be sure to contact the campus you wish to attend to know when they offer the courses you need. Graduates will be able to deliver evidence-based collaborative care to patients of all ages and across a culturally diverse population. Students learn critical thinking skills and how to be effective communicators throughout the BSN program. There is the traditional BSN track as well as an RN to BSN track offered for students who already hold a clear and current license. PBA University offers a great start to your nursing career. With a 13 to 1 student-to-faculty ratio and a state of the art facility with simulation labs, students receive one-on-one mentoring as they go through the BSN program. Students can participate in extensive clinical experiences from emergency room to neonatal care. Students can also participate in internships and externships to guarantee they have opportunities to practice and provide proper care and treatment for patients. Graduates enjoy leaving and beginning their career immediately because of the connections they made while doing clinical rotations or internships. Barry University offers a comprehensive BSN program for students wanting to work as a nurse generalist or enter the healthcare field with leadership skills behind them. There are multiple tracks offered that depend on the previous education and licensing students may have received. First is the traditional track where students attend campus for general courses and upper division courses within the School of Nursing. The second track is for students that already hold a current and clear RN license. These are able to start with upper division courses and earn a BSN in half the time that’s required for the traditional track. The third option is for students that already have a bachelor’s degree in another field but want to change careers. This is an accelerated option to help students earn their BSN in as little as two years. The Keigwin School of Nursing at Jacksonville University prepares students with knowledge and experience congruent with current nursing practices and guidelines. Graduates of the BSN program become nurse generalists and are qualified for employment in a variety of settings such as hospitals, clinics, nursing centers, schools and more. Students will learn from the evidence-based practice nursing model throughout their educational experience at Jacksonville University. There are different tracks offered to better meet the needs of students including a traditional BSN track, an RN to BSN track, and a Veteran BSN track. Florida A&M University now offers a comprehensive nursing program for students desiring to earn their BSN. It’s fully accredited by not only state guidelines but also by the ACEN. Faculty and staff aim to prepare students for the comprehensive exams and practicing as full-time nurses whether they’ll be employed in hospitals, clinics, or as teachers in the community to promote health. The BSN program is a traditional four-year degree with the first two years fulfilling general education courses and the last two years completing upper division nursing courses. Bethune-Cookman School of Nursing prepares students through a faith-based program to graduate as competent, visionary professional nurse leaders who are at the forefront of innovative, culturally sensitive healthcare practices that promote human wellness across the globe. Graduates will be nurse generalists able to perform in roles of leadership and research. Each will be prepared for additional higher education such as an MSN or DNP. The BSN program is a traditional four-year program with an evidence-based model. 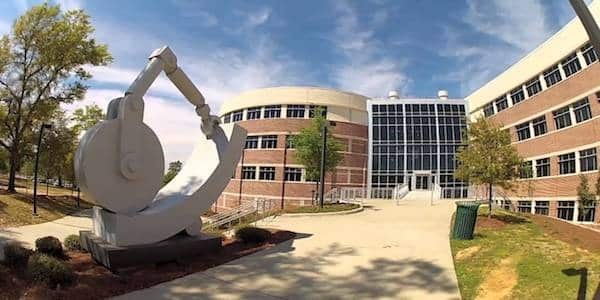 Nursing schools in Florida on this list were ranked mostly by NCLEX-RN pass rates, with other quality-indicating factors such as total enrollment, tuition, and acceptance rate slightly affecting the rankings to push the higher-quality schools toward the top.